Why is Pringles Called Pringles? The original “duck lips” began in the form of two chips by the name of Pringles. The popular chip brand has been at the root of tons of fun and crunchy deliciousness since its creation in 1968. Though rather young, the chip became a staple in snack foods very quickly and hasn’t slowed down since. Founder, Alexander Liepa, actually made the chip while working for the U.S. Army. Instead of using peeled and cut potatoes, which was the popular way to create chips 100 years prior to Liepa’s time, he decided to use potato flakes that he reshaped into the shape of a chip. The purpose of this trick was to make it easier and cheaper to transport the product. Liepa created the product in Montgomery, Ohio before bringing his patent to the well-known company, Proctor & Gamble. With the invention of the mechanical potato peeler a couple of decades prior, potato chips were extremely popular, and Liepa decided to capitalize on the movement. Proctor & Gamble took off with the newfound snack. Since Pringles were made differently, they certainly had to be cooked differently. 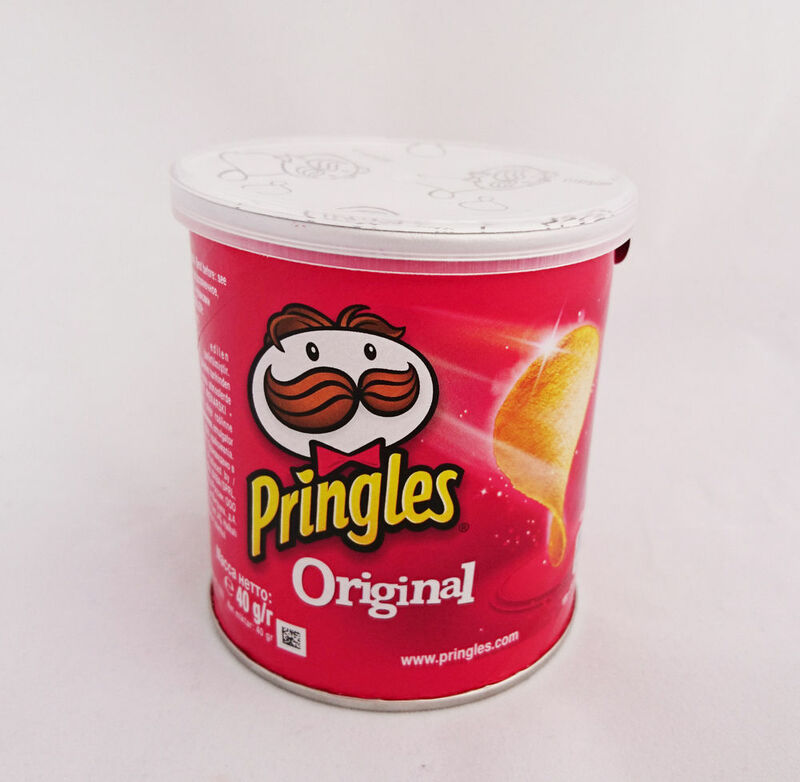 Interestingly, a science-fiction author, Gene Wolf, created the machine that would cook the Pringles to perfection, without making them too brown. After that, the chips were placed in the aluminum cans, which were created by Frederic J. Baur. Baur created the cans as an alternative to plastic bags, as Pringles would break too easily, the can acted as a chip shield. In 2012, Proctor & Gamble sold away the popular chip to Kellogg’s. 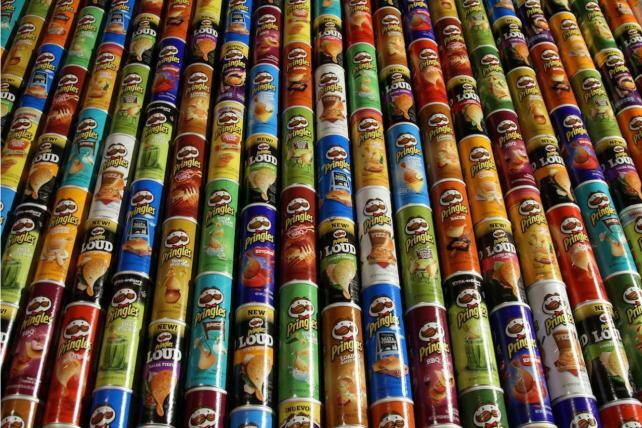 Since the acquisition, Pringles sales have increased from $4.8 billion in 2011 to $6.5 billion in 2014. The growth of the brand has occurred globally, as two-thirds of total sales are sold outside of the United States. Why is it Called Pringles? Initially the chips were dubbed Pringles Newfangled Potato Chips by Proctor & Gamble. Some employees of the company have reported that the name came from a street in Finneytown, Ohio. They also said that the name sounded nice and pleasing, which was a simple breakdown of the reason for the name’s origin. 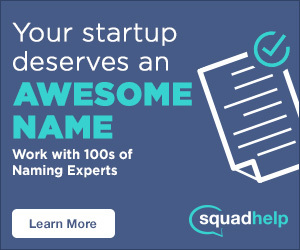 They also claim that the name was easy to pronounce, making it easier to share and sell. Another source claims the name comes from Mark Pringle, an inventor of a potato processing machine.